Virtual reality, augmented reality, mixed reality. These are all emerging technological platforms that allow us to change the way we view the world around us. Historically, there has been questionable practice when it comes to representation of minority groups such as women, the LGBTQ+ community, and people of colour, with those voices being inaccurately portrayed, or not portrayed at all. In a medium where you can document current realities with an accuracy that allows viewers to reach out to touch their virtual environment, where worlds are built that can bring the viewer on journeys across the solar system and into boats filled with refugees, it is more important than ever that our minority groups are represented – not just on the screen, but in the creation of new work. As we step into the future, there is a responsibility to question the gaze with which we are framing it. For too long, POC stories have been told for us, rewritten with the more uncomfortable bits taken out, or not mentioned at all. I think there is a demand for genuine experiences that can provide context for difficult situations, or shed light on perspectives that people outside of our communities may not understand. We have an opportunity to imagine the impossible, and in order to stretch our imaginations, we should be finding inspiration in a diverse range of thought and experience. I was born in Igloolik, Nunavut and was raised in Iqaluit until I was eight. The North and the Inuit people are part of who I am and how I identify. I also grew up watching a lot of movies. A child of the ‘90s, I loved Jurassic Park, The Goonies, E.T., but I didn’t see myself, an Indigenous person, represented in the media I consumed. In Canada, Indigenous cinema tends to fall under the genres of documentary or heavy dramas, perhaps because our communities have seen more struggle, and therefore our directors have a different context in which to ground their reality, but also a responsibility to their communities to create work that represents that struggle. VR, still in its infancy, seems to follow that tradition, but I find that when put in the hands of Indigenous creators, it can be used not just as a tool for activism, but also as a celebration of the future of Indigeneity. There are quite a few VR films being made that focus on Indigenous people and people of colour, but these tend to fall under what is controversially categorized as “empathy VR”. Virtual reality as a tool for creating empathy was popularized in a TED Talk by Within’s Chris Milk. Milk’s early work, in particular the documentary 360 piece titled Clouds Over Sidra highlighted the life of a young female refugee in Syria. I really enjoy the film, and to be able to exist in a space and to feel as if you are standing in a refugee camp is powerful, even if you are watching it while sitting on a swivel chair in an air conditioned gallery you had the luxury of getting into. I think there is a place for activism pieces in VR, and in fact, I think documentary is one of the greatest formats for the medium. 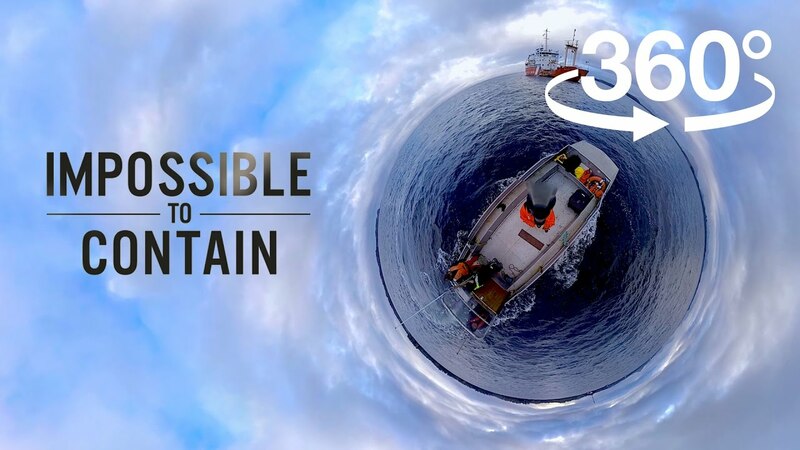 I am really proud of being involved in a VR doc titled Impossible To Contain, directed by the talented Heiltsuk/Mohawk director Zoe Hopkins which captures how one community, and more specifically one family, is affected by a diesel fuel spill in their remote fishing community off the coast of British Columbia. It is particularly affective because Zoe is from the community of Bella Bella where the spill happened, and it was her family that was seen dealing with the aftermath. Unlike some empathy pieces, it felt personal and genuine. I have worked with a lot of Indigenous creators in the context of VR, and something I’ve noticed is that unlike the empathy pieces being created by non-POC organizations, many are celebrating the continued existence of cultural influence and future realities in which they thrive. The development of VR has coincided with the rising popularity of a movement known as Indigenous futurism, a term that was coined in 2003. Science fiction is a genre that I feel gets closest to addressing real life issues: the big questions such as identity, where we come from, why we exist, and the balance between the world we’ve created and the one that we were given. In mainstream sci-fi, people of colour have been, for the most part, non-existent. With Indigenous futurism, and Afro-futurism which came before it, minority groups are able to imagine themselves in the context of future realities, existing in imagined worlds where historically we were kept silent, or had our voices taken away completely. I recently collaborated with the imagineNATIVE Film Festival, The TIFF Bell Lightbox, and the Initiative for Indigenous Futures on an exhibit titled 2167. 2167 allowed 5 indigenous artists to create 360 pieces that imagined the future of Canada 150 years in the future from an Indigenous perspective. I worked with visual artist Kent Monkman on his first VR experience titled Honour Dance, as well as filmmaker Danis Goulet on her piece, The Hunt. The Hunt tells the story of a family in postwar North America, where law enforcement takes the form of a fleet of orbs canvassing the sky. The community rebels by hunting down the orbs and repurposing them to build their own resistance. Entirely written in Mohawk with an Indigenous cast, it is a great example of the futurism movement. 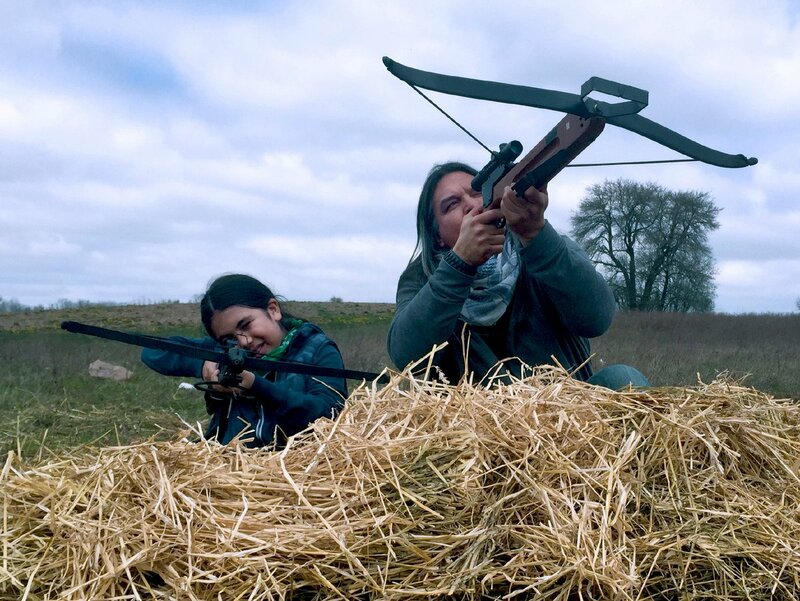 It draws on traditions and culture of the Mohawk people, but in a futuristic setting, the film tackles issues regarding land rights that many currently fight for. The Hunt addresses topical concerns but presents them in a way that shows the resilience of its subjects. This is something that can’t be said for all empathy experiences. I hope that as VR continues to evolve, the medium will also grow to be more diverse. If we can have more underrepresented voices, we will find that the medium will move further away from an empathy machine and become a method for resistance. I think that it can be used as a tool to record our history and spread knowledge and understanding, but also to entertain and build future histories. Within these fantastical stories, we can reimagine reality.